While this seems to be a logical theory to boost innovation, are pharmaceutical corporations actually allocating their profits for R&D? Or, are these corporations exploiting a longstanding and well-accepted public policy stance in order to reap greater profits? A 2017 study by the Institute for New Economic Thinking (INET) suggests the latter. The study shows that instead of allocating profits to innovation, pharmaceutical companies are spending almost all of their profits on delivering dividends to stockholders and repurchasing their own corporate stock (buybacks). In recent years, pharmaceutical executives have increasingly shifted their business models away from drug innovation to one that is preoccupied almost entirely with finance. While various factors that have led to this shift, one of the most apparent reasons for the shift is that pharmaceutical executives have strong incentives to move in this direction as they receive much of their compensation in stock. The industry contends that more drug innovation is beneficial to the health of the U.S. and the rest of the world. Perhaps, but pharmaceutical companies are, in fact, allocating almost all of their profits to buybacks rather than spending on R&D for developing new drugs. The INET study shows that on average, the 18 pharmaceutical companies currently in the S&P 500 Index distributed 99 percent of their profits to shareholders between 2006 and 2015—50 percent as buybacks and 49 percent as dividends. 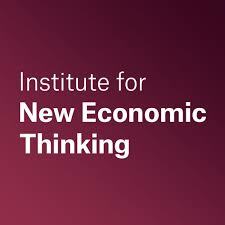 In his Harvard Business Review Article, one of the authors of the INET R&D study, William Lazonick, insists the that personal incentivizes to do buybacks in order to increase stock prices provide the only logical explanation for mass stock buybacks. From 2012 to 2015, stock-based pay for pharmaceutical executives accounted for roughly 90 percent of their compensation. Executive pay packages reward stock-price manipulation and speculation over the company’s innovation successes. Pharmaceutical companies are now growing their businesses through corporate finance, rather than by innovating and producing new drugs. They prefer to acquire other companies for their drugs and innovations. The companies have also notoriously acquired or merged with another company incorporated in a country with low corporate tax rates and favorable tax policies, such as Ireland, Luxembourg, and the Cayman Islands, in order to reduce their tax bills. Such transactions are known as tax inversions. The pharmaceutical industry may have been built on scientific innovation, but the industry has now become overwhelmingly preoccupied by finance, leaving innovation to fall by the wayside. The short-term thinking focused on bolstering stock prices rather than innovating new drugs could have tremendous implications for access to medicine across the globe. Currently, there is a growing anxiety that the pharmaceutical industry is going through a productivity crisis for discovering new drugs. Over the past 15 years, R&D investments by pharmaceuticals companies have led to few new blockbuster drugs, even as the 20-year patents on the previous generations of drugs expire. 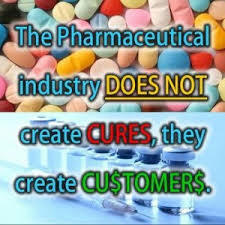 Companies like Merck and Pfizer have been living off of patented drugs with few new drugs in the pipeline. Pfizer, for example, has not launched an internally developed product since 2005, with only four internally-developed products launched between 2001 and 2005. During Pfizer’s attempted merger with Allergan, which the Obama Administration later blocked, Pfizer CEO Ian Reed said the company’s U.S. tax bill put it at a “tremendous disadvantage” in global competition. Reed said, “[w]e’re fighting with one hand tied behind out back.” However, from 2011 to 2015, while Reed was CEO, Pfizer’s distributions to shareholders were 4.7 times its U.S. tax payments. During this same time period, Pfizer also spent $45 billion in buybacks and Reed’s annual compensation averaged $54.9 million (81 percent from stock options and awards). Given these figures, it’s difficult to believe that Pfizer was strapped for cash. The pharmaceutical industry’s steadfast R&D argument is flawed, if not a complete fallacy. It can no longer justify the multitude of profit protections the industry is afforded. 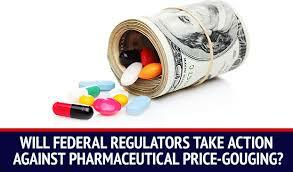 In light of the financialization of the pharmaceutical industry, policy makers need to reconsider the rationale for the legal regime providing the industry certain protections. Global health is at stake. Matt Barg is a student at Northeastern University School of Law. Matt did research on the pharmaceutical industry while working as a PHRGE Fellow with Oxfam America’s Private Sector Office in 2017. The opinions expressed in this post are his own. This entry was posted in Uncategorized and tagged Access to Medicines, Big Pharma, Business and Human Rights, Drug Prices, Health Care, Human Rights, Pharmaceutical Industry. Bookmark the permalink. 1 Response to Do Pharma Companies Still Deserve Legal Protections?